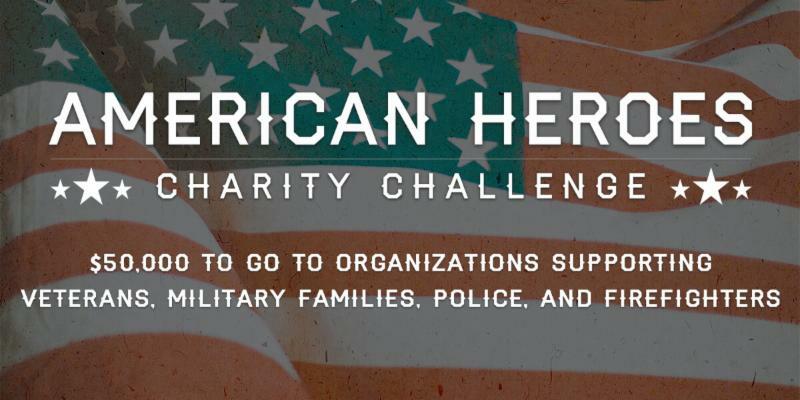 We are excited to inform you that we're a part of the American Heroes Charity Challenge on Crowdrise. It's a friendly fundraising campaign launched by the Craig Newmark Philanthropic Foundation, where organizations that focus their efforts on assisting Police, Firefighters, and Military compete to raise the most money with the top teams winning grand prize cash donations. It started on MAY 23 at 12PM and runs through JULY 6th at 11:59PM. A total of $50,000 will be given away to organizations in the Challenge. We're ready to raise as much money as possible so we can win the $15,000 grand prize donation! Also, there will be weekly Bonus Challenges for organizations to win an additional $20,000. The best part of the Challenge is that even if we don't win any of the grand prize money, we get to keep the money we raise during the campaign. Yay! Please consider joining our team as fundraisers. By setting up a fundraiser for our cause and reaching out to your network of supporters, you can help us make an even bigger impact and get us closer to that grand prize. If you are unable to join as a fundraiser, you can still help us by sharing our campaign. Every donation makes a difference, no matter how big or small.